Give Your Home A Refresh With A Kitchen Remodel - C.C. Dietz, Inc. Here are some things for homeowners to keep in mind as they consider a kitchen remodel. The kitchen is the most-used room in any York, PA home. Between preparing and eating meals, keeping it nice and tidy, and the countless other tasks that homeowners and their families do in the kitchen, there is a lot of time spent in this space. If you are unhappy with how your kitchen looks, it might just be the time to give it a facelift and consider looking for ways to customize your kitchen with a complete remodel. Here are some things for homeowners to keep in mind as they consider a kitchen remodel. For convenience sake, having modern updates in the kitchen can be a great reason to undergo a kitchen remodel. If you happen to have an older kitchen, you probably are not using cool modern features that so many homeowners are loving. There a variety of custom features that you can include in your kitchen when you remodel it. 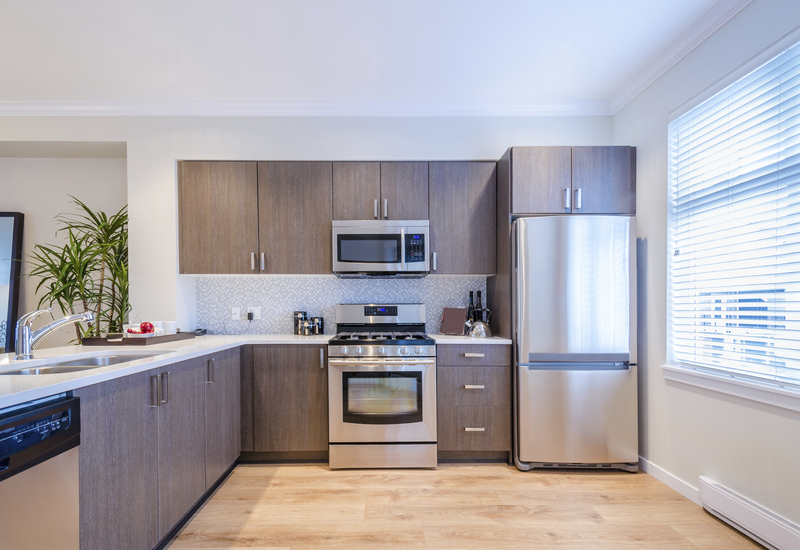 From a pot filler to an extra dishwasher to an added island, there a variety of ways homeowners can customize their kitchen remodel so the space works for them and how their families use the space in general. When it comes to a kitchen floor, keeping it updated becomes incredibly important as the home itself ages. Old floors can be harmful. But sometimes, having flooring that you don’t love could push homeowners to change things up in their kitchen. Regardless of why homeowners want to change up their kitchen floors, new flooring is a wonderful part of the kitchen remodel process that can really be a wonderful shake-up that reflects a brand-new space. There are so many options when it comes to kitchen flooring. Having so many options allows homeowners to choose the best flooring that suits their needs perfectly. If you are thinking of building or remodeling your dream home in the York County region, what better place to begin than the start of a new year? Our team of experts will assist you throughout the entire process, and we are ready to answer any questions that you may have. If you’re eager to customize your dream kitchen, renovate your bathroom, or build your dream home from the ground up, let us be your choice for beautiful, quality work backed by a reputation of excellence and five generations of expertise. Are you ready to talk? We’re happy to meet with you! Schedule a free consultation with us today, or contact us at 717-755-1921 or visit us online. For more fun remodeling tips, follow us on Facebook, Twitter, and Pinterest. This entry was posted on Monday, April 8th, 2019	at 4:01 pm	and is filed under York Kitchen Remodeler . You can follow any responses to this entry through the RSS 2.0 feed. Both comments and pings are currently closed.